A 911 caller reported gunfire around a home at 965 South Belfast Ave., where a man was shot six months ago. 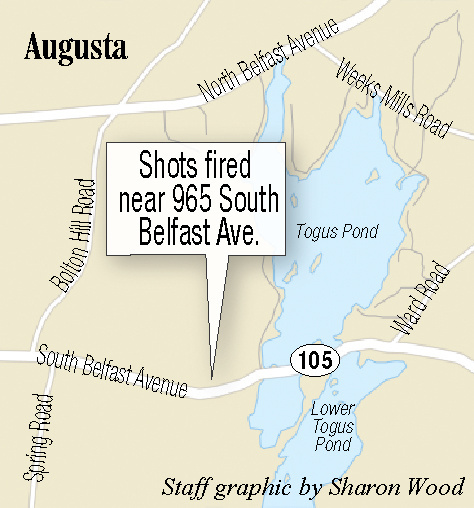 AUGUSTA — Police are investigating a report of one or more gunshots fired near a home on 965 South Belfast Ave. on Sunday afternoon — the second gun-related incident at the home in six months. 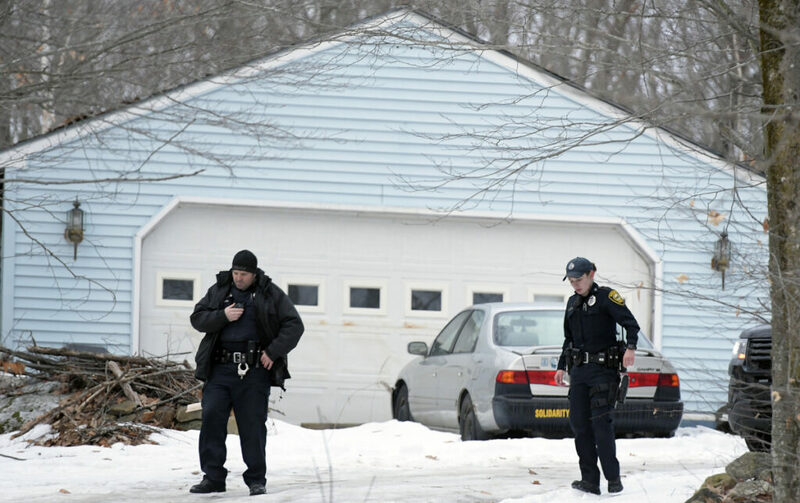 Police were alerted Sunday after a 911 caller reported shots fired in the area of home, then dropped the call. Police said the suspects could have fled in a maroon SUV. No one was injured as a result of Sunday’s reported gunshots. “Upon the Officer’s arrival, they searched the immediate and surrounding areas, but the residence was empty, and all of the involved persons had fled the location,” Augusta Police Deputy Chief Kevin Lully wrote in a Monday morning press release. The matter is still under investigation, but Lully said Monday afternoon police had accounted for all the parties involved. The 965 South Belfast Ave. property is owned by Randy E. Haskell, according to Augusta’s tax commitment book, a half-mile west of Togus Pond. The Kennebec Journal reported there was a shooting at the same property on July 29 that left one man injured. Norman Cullins, who lives less than a mile from the reported location of the incident, said gunshots are common around his home. 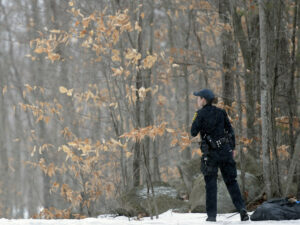 Augusta Police Officer Sara Rogers looks into the woods Sunday while searching the perimeter of an Augusta residence where police responded to a report of shots fired. Lully said there has only been one call since Jan. 1, 2018, relating to gunshots in the same area. When asked why the shot raised alarm, despite being in a common hunting area, Lully said all shots should cause alarm because there is currently no open hunting season. Lully said it is too early to know if the gunshots were related to another crime. Clyde Trask, who also lives less than a mile from the reported shots’ location, said he heard a gunshot “just before dark” on Sunday near a nearby stream but said it was not uncommon to hear shots from surrounding properties.